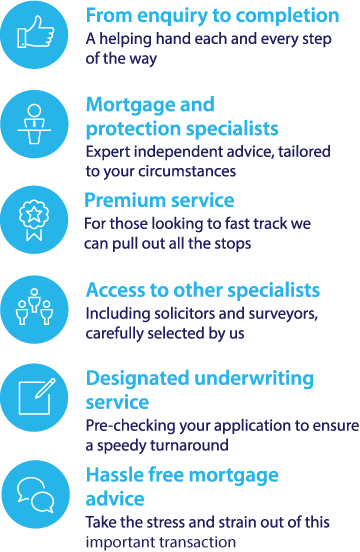 To investigate your mortgage options if you are in the process of getting a divorce or looking to buy out a former partner call our specialist mortgage team on 0117 313 7780 or fill in our callback request form. If you are going through a divorce this can be stressful enough without the difficulties of sorting out your current mortgage and arranging a new one. At Fair Mortgages we can help to make the mortgage process as simple and smooth as possible and can offer free, no-obligation advice on mortgage options if you are separating from a partner from our team of expert advisors – call us today on 0117 313 7780. If you have joint ownership of the home, it can only be sold if you both agree to this. If not, one partner may need to buy the other partner’s share of the mortgage – this is known as ‘buying out’. Selling the property – if you and your ex-partner both intend to move out of the property, this can be a simple way of dealing with the problem of dividing up the mortgage. The house can be sold in the normal manner and the money gained can be used to pay off the outstanding mortgage balance. Any money that is left over will usually be divided between the two parties. Keeping the property – this often involves one partner buying the other out if they wish to stay in the property. The partner who is staying in the house will need to demonstrate to the mortgage provider that they have the capability to pay the mortgage as one individual. You will need to buy your ex-partner’s share in the property, so you may also require an up-to-date valuation. Both continuing to pay the mortgage – In some cases where the divorce is amicable, or where there are children involved who need to remain in the family home, both divorcees may agree to continue to pay the existing mortgage even if one partner is moving out to another house or flat. Keep up with your repayment obligations – If you have a joint mortgage you are both liable for the repayment even if you are no longer living at the property. Even if you plan on selling the property, you need to continue making current payments up until the house has been sold. Failing to do so could have an adverse affect on your credit rating and could make it difficult to get a mortgage in the future. Make sure your mortgage provider is kept up to date with the situation – Many mortgage providers will be very understanding during a divorce and may offer payment holidays to help both partners get back on their feet. However in order to do this they must be kept fully informed of the status of the divorce process. Some people mistakenly assume that divorcing automatically leads to a separation of fiancés, but this is not the case. Therefore if your ex-partner has a poor credit rating this could affect your ability to get a mortgage deal that is competitive in the future. In order to fully separate your finances you will need to contact a reputable credit agency and ask them to complete a financial dissociation, which essentially means that your financial connection with your ex-partner will be removed from your credit report.